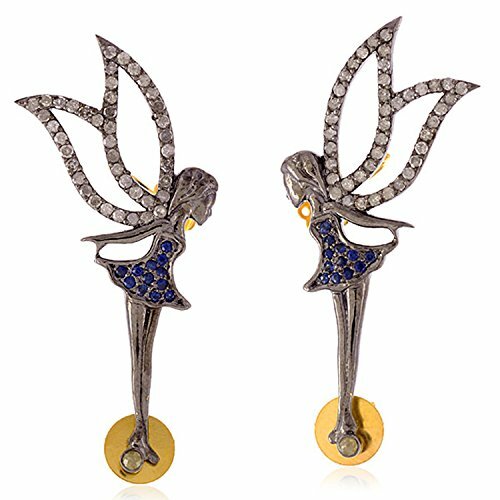 Blue Sapphire & Diamond ''Girl with Angel Wings'' Ear Climber Earrings in 18K Yellow Gold & Sterling Silver by Mettlle at Blood of The Young. MPN: OPS-12250. Hurry! Limited time offer. Offer valid only while supplies last.